DDC Laboratories India provides Parentage DNA check. 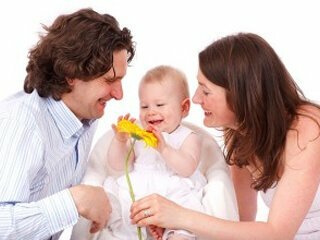 Our Paternity Trio is highly accurate that answers hospital child swap. In DDC Laboratories India, we have various configurations of paternity tests available. While the reliability and accuracy of all these tests are similar, the depth of analyses varies among these tests. Paternity Trio Test needs samples from the alleged father, alleged mother and the child. The child’s DNA strand patterns are compared with those of the father and the mother, thereby doubly confirming their paternity. The mother’s pattern contribution is canceled out from the child’s DNA pattern and then the remaining patterns are compared with those of the alleged father. This enables our lab experts to establish if the alleged father is really the biological father or not. If the mother does not participate in the test, it is called “motherless paternity test”. The accuracy of the motherless test is similar to the trio test, the only difference is in the depth and scale of analyses as the entire DNA pattern is carefully matched and examined. Other configurations may include more than one child or more than one alleged fathers’ DNA being analyzed for the establishment of their biological relationship. In DDC Laboratories India, we ensure that the accuracy and trustworthiness of our conclusive results remain precise for all configurations of DNA paternity tests. We not only guide our clients to choose the right tests, but also help maintain complete confidentiality of test results.